Western Digital's solid state division, SanDisk, has unveiled a prototype SDXC card that packs an enormous one terabyte capacity, which the company claims is the first of its kind in the world. 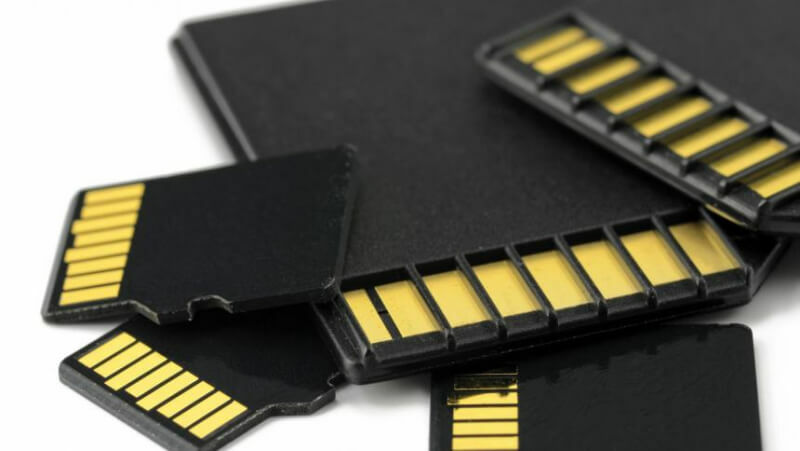 Cramming 1TB of storage into the footprint of an SD card is an impressive feat, although considering the fast-paced NAND flash industry, it's not overly surprising that storage density has increased to such amazing levels. This new card comes two years after SanDisk announced a 512 GB SDXC card back in 2014, which at the time was the largest capacity SD card in the world. SanDisk hasn't released much information about their 1TB SDXC card; we don't know for sure how many chips it uses, how fast it is, or when it will be released. However, AnandTech is reporting that the card uses 32 chips, each with a capacity of 256 Gb, which they assume are 48-layer 3D NAND chips developed in partnership with Toshiba. The card is being positioned as the perfect companion for 4K and 8K video recording, which capture massive amounts of data per minute that must be stored on fast, high-capacity cards. SanDisk hasn't said when the 1TB SDXC card will become available or at what price, but it expect it to debut at a price higher than current 512 GB cards, which can currently be found for around $300.